To raise sustainability standards within Asia’s hospitality industry, Marina Bay Sands has partnered with World Wide Fund for Nature (WWF) in Singapore. Together, they are focusing on seafood and ocean conservation with goals including positive initiatives in responsible seafood, aquaculture improvement projects (AIPs), and enhanced green meeting packages. Asia accounts for 89 percent of all farmed seafood in the world, with Singapore’s own seafood consumption exceeding the global average. The potential impact is overfishing to meet demands. In Singapore, three out of four common seafood species are unsustainable. Today, Marina Bay Sands does not offer any seafood from the AVOID list of WWF’s Seafood Guide, which aided in the property’s decision to remove the popular red grouper and bluefin dishes from its menus. 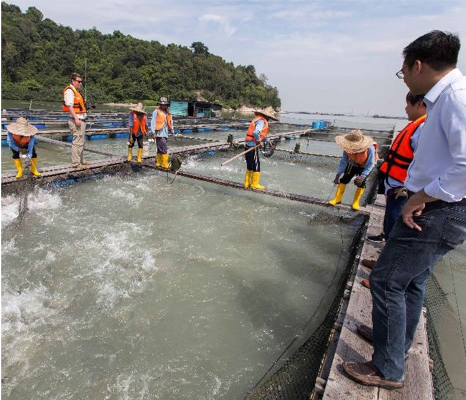 Through this partnership, the Integrated Resort is supporting four aquaculture farms in Malaysia in their journey toward sustainable farming. Marina Bay Sands aims to have 70 percent of its priority seafood species procured from Marine Stewardship Council (MSC) and Aquaculture Stewardship Council (ASC)-certified sources, as well as having 50 percent of all seafood by volume sourced responsibly. In the next few years, the Integrated Resort will strive to host at least 300 green events that adopt sustainable packages and offerings supported by WWF. For more information on Sands ECO360 and our global sustainability efforts, visit Sands.com to download our latest sustainability report.